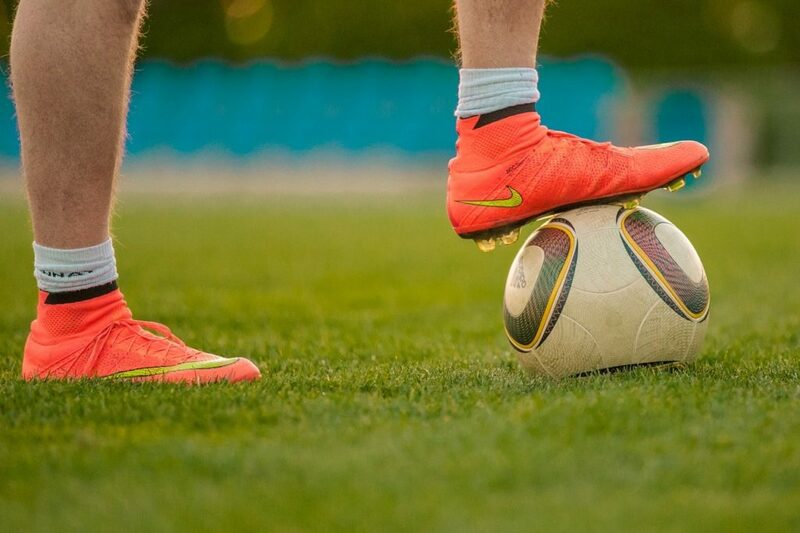 Finding the right soccer cleats for your child can be surprisingly tough. There are so many options available at the moment – it can be hard to pick just the right product for your son or daughter. In this guide, we’ve reviewed a heap of products and come up with 12 of the best kids’ soccer cleats for sale in 2019. We’ll also address some common concerns when buying cleats so you know just what to look for. Check out our quick comparison table below to find our top picks. Alternatively, continue reading to find our full buyer’s guide and our soccer cleat reviews. If you’re new to this soccer-mom business (yes dads, you’re soccer moms as well) it can be a bit tricky to pick the right cleats. Never go a size up when buying soccer cleats, unless you know for a fact that the cleat fits small. 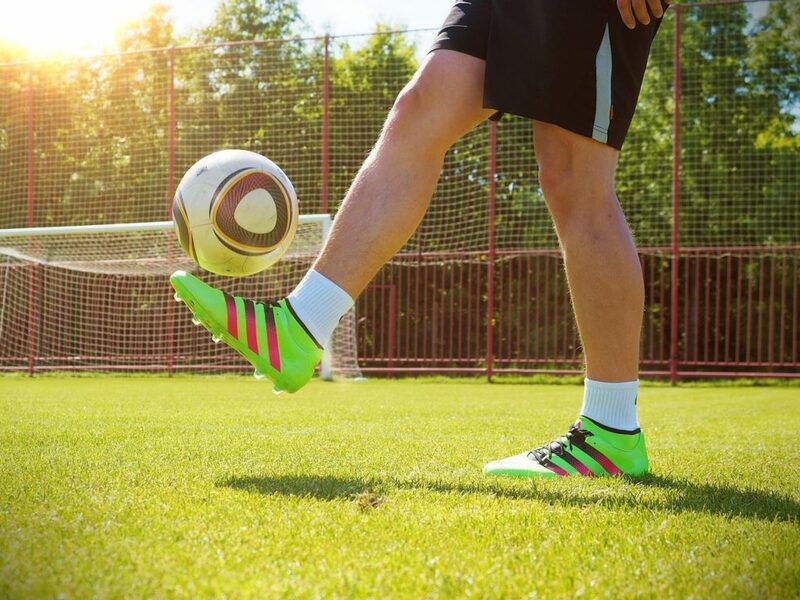 Having your feet move around in your cleats can lead to blisters, and will make it harder to control the ball when dribbling. Instead, you want a nice snug fit that isn’t too tight. If the cleat is too tight this will be uncomfortable and may also cause blisters. Don’t be afraid to walk into a brick and mortar store and try on a cleat before buying online if the price is better. Online stores sometimes have a feature where other customers will tell you how a specific cleat fits. For example, around half of all buyers on Amazon say that the Nike Youth Hypervenom Phantom III fits “as expected”. Some sellers also let you return the cleats for free if they don’t fit. Some kids have narrow or wide feet so you’ve got to be careful when picking a size. This is another reason why you might want to go in-store and try on a certain cleat before buying. However, online reviewers generally do a fantastic job of letting future customers know about cleats that fit narrow or wide. SG, FG, AG, what does all this mean?? FG means firm ground. This is the standard stud type – it’s suitable for most firm types of grass. HG means hard ground. This variety is similar to firm ground but may be a bit shorter, designed for use in quite dry conditions. SG means soft ground. They’re normally longer and more rounded for better grip in muddy, wet conditions with very soft grass. Some associations don’t let kids use them because they can hurt other players, so there aren’t many kids’ cleats made with SG studs available at the moment. We couldn’t find any worthy of including in our reviews. If your kid plays on grass, don’t buy indoor soccer shoes. These products have a smooth rubber outsole designed for traction on concrete and bitumen. On grass, they feel very slippery. Also, avoid turf soccer shoes (sometimes called AG for artificial ground) unless your child plays all of their soccer on artificial turf. These shoes can be distinguished from regular cleats in that they have a large number of small rubber bumps on the outsole (around 2-3mm thick) as opposed to full-length studs. You can use FG cleats on artificial turf, but you can’t use turf shoes on natural grass. So if your son/daughter plays on both types of surfaces, it’s best to stick with FG cleats. Adidas soccer cleats with firm ground studs. 4. Why do similar-looking cleats cost different amounts? The main soccer brands (Adidas and Nike) make different versions of their best cleats at different price points. Generally, the top of the line model will cost a hundred dollars or so. Then there’ll be a mid-range option for $50-$70 and a cheaper model for $30-$50. Do you absolutely need the most expensive model for a kid? Definitely not. But these pricier options are the better cleats overall – you do get better comfort and control for the extra money. Most cleats these days are made of synthetic materials. They’re more durable, easier to clean and cheaper to make. Overall we’d definitely recommend sticking to cleats made with synthetic material when buying for kids. Leather cleats are hard to come by, but they do offer a good feel for the ball. See what your son or daughter finds comfortable – maybe they’ll prefer the flexibility of leather from the get-go. 6. What’s that sock thing on Nike cleats? Nike Superfly IV soccer cleats, which use the company’s Dynamic Fit collar. Since the 2014 World Cup Nike have been putting this weird “Dynamic Fit” collar thing on their cleats that’s separate to a regular soccer sock, and Adidas have begun doing something similar with their latest Primeknit models. You’ll spot them on more expensive cleats. They’re meant to improve stability and comfort (as the fabric extends down into the cleat’s interior). As of 2019, Nike and also Adidas have refined their cleat collars, making them a bit shorter so that they’re more comfortable. Now players like Cristiano Ronaldo (who used to cut off the collar material) are using the cleats as-is without issues. Our advice is to try them and see what your kid thinks. Most players seem to prefer to have the collar these days although they can take a bit of getting used to. 7. Why do modern cleats have golf ball dimples? Adidas and Nike in particular are convinced that adding small dimples on the surface of a cleat will improve the player’s feel for the ball and hence their passing, dribbling and shooting. As a player, I can tell you that they do help somewhat, but they won’t make your kid the next Messi. They’re a good thing to have, but aren’t an essential feature. 8. I want to get a top of the line cleat, should I choose Adidas or Nike? Adidas and Nike are the two undisputed market leaders when it comes to soccer cleats. Here’s my experience with both. Note that these are generalizations and there are always exceptions to these rules. Nike makes more innovative, outlandish cleats that are fun to use and offer excellent performance. They’re known for coming up with new stuff to improve their cleats, like the dynamic collar back in 2014. Adidas makes awesome all-round cleats that are generally very durable. They’re often very comfortable and nice to wear, and are usually a bit cheaper. So if you want a flashy cleat with awesome performance, go for Nike. If instead you want an incredibly solid all-rounder that’s super durable and comfortable, pick up some Adidas cleats. 9. 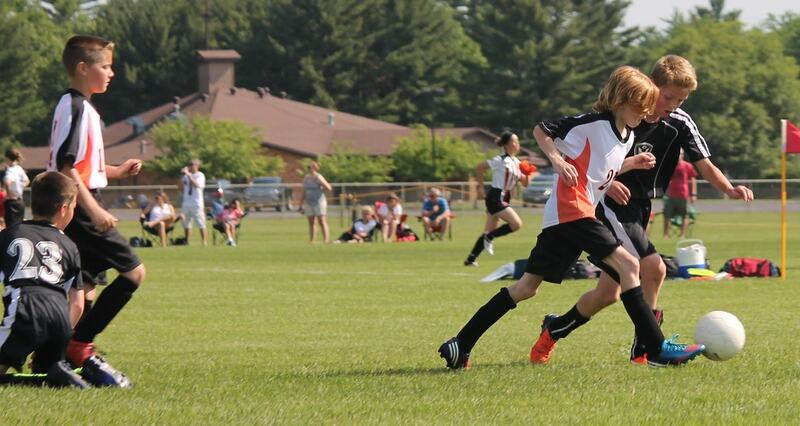 My kid plays attack/midfield/defense/goalkeeper, does he/she need a specific type of cleat? Big brands market different lines of cleats for different positions, normally attackers or midfielders. For example, the Nike Hypervenom is meant for strikers and the Adidas Predator is meant for creative midfielders. However, you don’t need to pay much attention to this. For defenders and goalkeepers, buying a cleat designed for speed, shooting or control is fine. If your child is an attacker or midfielder, you don’t absolutely need to buy a cleat that’s meant for their role in the team. And obviously for very young kids who are just playing for fun, positions and roles aren’t a big deal at all. So prioritize comfort, quality and durability when shopping. In this section we’ll assess 12 different youth cleats based on comfort, feel for the ball, durability, features and overall value. Adidas’s Nemeziz range of cleats is designed for attackers: offering an awesome feel for the ball when dribbling as well as explosive pace off the mark. The Messi 18.3 version is specifically aimed at false 9s (center-forwards) and creative midfielders, with the company’s “agility mesh” lining providing an awesome first touch and control when passing. What’s more, these cleats fit nice and snug to give the player a super comfortable, almost “barefoot” feel on the pitch, which helps to improve ball control when dribbling as well as shot accuracy. They’re also priced very reasonably, and the colorways available are sure to impress. Overall, these are fantastic cleats for central attackers and midfielders. Not only are they nice and comfortable, but the synthetic upper and the soleplate are very durable, meaning you won’t have to go hunting for another pair mid-season. Very comfortable – snug fit. Great feel for the ball. N/A – awesome all-round cleats. We thought we should also mention Adidas’s brand new Predator model which has just been released for the 2019 season. At the moment, this shoe is probably the best kids’ cleat available in terms of what it offers on the pitch. You basically get every technological innovation Adidas has to offer at the moment in a pair of cleats. This includes a super-soft “Primeknit” collar and upper, which is incredibly comfortable and feels awesome when dribbling. Complementing this, Adidas’s “Controlskin” outer material offers excellent precision when shooting and passing, as you get an immediate response when striking the ball. The soleplate, studs and heel are specifically designed to allow for optimal acceleration as you begin a sprint, while offering decent ankle support during your actual run. Despite having no laces, these cleats are easy enough to get on and off. They do fit nice and snug, which further improves your feel for the ball. There’s also a version with laces called the Predator 19.1 if your child would prefer a more traditional feel. The only real downside to these cleats is the price. Although they’re a little expensive, the Predator 19+ is jam-packed with features to make your life easier on the soccer pitch – you definitely get what you pay for. Awesome feel for the ball. Incredibly innovative – packed with the technology Adidas reserves for its best cleats. Adidas have also utilized the collar-based design with their Ace series of cleats. This particular option, the 18.3, comes with traditional laces (but no tongue) and a beautiful white/red/black colorway. If the Predator is meant for playmakers and long shooters (Steven Gerrard used to wear them) then the Ace line of cleats is designed for dribblers and wingers who look to take on their man. Adidas has used a specialized ribbed pattern on the surface of this cleat – you’ll notice it on the toe and instep. These ridges are quite unlike the foam pods and dimples Nike uses, which we’ll discuss a bit later. Rather than looking to improve shot power, with this cleat Adidas has focused on helping you with your touch and control when dribbling. We’re not quite sure why this is, but this cleat is a little bit harder to get on than the Predator 19+, despite featuring the exact same style of collar. And since there’s no tongue, you’ve got the get the fit just right. Note that like most Adidas cleats, the Ace 18.3 is reasonably narrow, and isn’t really suitable for kids with wide feet. However, if you do get the right fit, these cleats feel fantastic – the lack of a tongue means that they won’t shift around when the ball is controlled using the top of the foot. Although we love the bright white design, it can get dirty a little easily. It’s definitely possible to keep these cleats clean if you want to though. Just give them a quick wipe down post-match with a wet microfiber cloth. Can be a little tough to get on at first. Now let’s look at what Nike has to offer in the way of youth soccer cleats. The Hypervenom Phantom III is Nike’s version of the Adidas Nemeziz range – a light, snug-fitting cleat designed for attackers and creative midfielders specifically. It comes with a Dynamic Fit collar for stability and it fits nice and tight. In fact, Nike might have gone a bit overboard in trying to make a snug cleat – it can be quite difficult to get on at first. Nike has attached specialized foam pods to the instep and upper for a little more oomph when shooting. The synthetic surface is pretty grippy, especially when the cleats are new, which is quite useful when dribbling. Take a look at the soleplate and you’ll see a hybrid stud organization – rounded pegs on the instep and the flatter molded variety on the outside. Nike does this to improve agility while retaining traction, but you’re unlikely to notice much difference. Adidas also make a great mid-budget cleat with many of the features of their pricier models. As with Adidas’s more expensive cleats, you get an inner lining that’s designed to mold to the shape of your foot, as well as an ankle collar for stability. The end result is an almost “barefoot” feel when playing – this makes dribbling and shooting very comfortable. Because the outer material is designed to improve your feel for the ball, it’s quite thin which makes it very light. This in turn can improve your speed off the line, especially for kids. Although these cleats should last for at least a year, they’re not the most durable option out there, in part due to the thin upper material. In saying that, the price is very reasonable and the cleats are quite comfortable. On a low to mid-range budget, they’re excellent value for money. Comfy – hugs the foot. Excellent feel for the ball. We’ve already had a look at the Hypervenom Phantom III in this guide, but Nike also makes a cheaper version of this cleat which is nearly as awesome as the original. The difference between the two is the cheaper cleat (the Phelon III) is made with a less sophisticated surface that doesn’t have the foam pods for extra power when shooting. However, these cleats still have dimples on the exterior which help to improve your pass and shot accuracy. Despite being a bit cheaper, the Phelon III still features Nike’s Dynamic Fit collar and off-center lacing for a bigger strike zone on the instep. It also has Nike’s signature hybrid stud layout which helps to maintain your stability while also allowing you to make a quick initial move when sprinting. Great quality considering the price. Offers good shot & pass accuracy. Stud layout is perfect for running. None to mention – great cleats for the price! Taking inspiration from the classic silver/blue Nikes of the late 1990s, this version of the Mercurial Victory VI is named after Brazil’s new golden boy, Neymar Junior. While Messi is a creative player who loves to dribble, Neymar is incredibly fast and likes to finish the job himself – with the odd rainbow flick thrown in for good measure. It makes sense then that the cleats named after him are designed for wingers and fullbacks looking for an extra bit of pace and agility. That’s where the Dynamic Fit collar comes into play – it offers greater stability when running and turning. There’s no traditional tongue on this cleat – this can feel odd at first, but once you get used to it, it feels pretty natural. The only downside to this cleat would be its durability – it can wear down quite quickly depending on how often you play. Good stability & traction – great for sprinting. In terms of a value-for-money kids’ cleat from Nike, the Bravata II is a really great pick. Despite being very reasonably priced, you get a couple of features that are typical of a more expensive cleat. The Bravata IIs have an offset area for the laces, meaning there’s more room on the instep to comfortably strike the ball. They also come with a “micro-textured” (slightly bumpy) upper for greater control when dribbling. In addition, these cleats use a hybrid stud layout (like with the Hypervenom Phantom III) for excellent agility and stability. There’s a few awesome looking colorways to choose from, and these cleats are fairly durable considering the price. Overall, they’re a great all-round pick if you’re looking for value for money. Good for shooting, passing & dribbling. Fits very tight – might want to order a half size up. Now let’s see what a few of the other smaller soccer cleat brands have to offer. These cleats are also pretty comfortable. There’s no fancy collar so they’re relatively easy to put on and take off, and the laces are nice and thick and stay tied quite well. The downside to these cleats is they’re not super sophisticated like the Nike and Adidas options we’ve looked at so far. In saying this, they’d make an awesome pair of cleats for a beginner player – you can always upgrade as they grow up! Also, be sure to order a half size up – these cleats run small. No fancy tech or features – not necessarily a bad thing for beginner players. Whenever you see Adidas use the term “Copa”, think traditional fit. The company have literally been making variations of this cleat since the 1970s, and still sell a version today made with real kangaroo leather. The Copa 18.4 is a more modern synthetic option, meaning it isn’t banned in California. Essentially, this cleat is what a soccer shoe should be. There’s no collar, and it comes with a good old-fashioned tongue, meaning you can adjust how it feels. It’s great value for money, and has a traditional fit, making it suitable for kids with slightly wider feet. But this cleat will still work with regular/slightly narrow foot profiles. The inner padding layer is designed to have a little bit of give to it (due to its thickness), meaning the fit doesn’t have to be perfect for this to be a comfortable shoe. Order your normal size for the best possible feel. The forefoot/toe area has a little bit of stitching for enhanced ball control. However, this cleat isn’t going to feel as nice to dribble with, or as effortless to shoot with, as a top-of-the-line model, like the Predator 19+. Fits well no matter your foot type. Quite basic in terms of features – to be expected given the price. For kids who are just beginning to play soccer, the two most important features in a cleat are 1. comfort and 2. durability. As a parent, you’re probably also looking for something that’s relatively cheap. This is because your kid will likely grow out of their cleats in a year or so at that age. Therefore, the Diadora Cattura is a great pick for kids who are just beginning their soccer journey. The synthetic leather is comfortable but also pretty durable – it won’t wear down like real leather might. Because these cleats are black you don’t need to worry so much about cleaning them, and the price is very reasonable. Since you’re paying so little you don’t get any special features such as a collar or surface dimples like you would with an Adidas or Nike cleat. For serious players this might be an issue, but if your child is just starting out it’s not a problem at all. Remember: the Diadora Catturas are quite wide compared to most Nike cleats in particular. They come with FG studs – we’re not entirely sure what “MD” stands for. Comfortable – suits kids with wider feet. Very basic – not an issue for beginners though. Adidas also make a kids’ budget option, although it’ll set you back a bit more than a comparable cleat from a brand like Diadora. However, in return for the higher price you get a better quality cleat from a leading manufacturer. The inner lining is nice and soft, offering a good level of cushioning from ball impact, which can be a good thing for young kids. Also, the upper is fairly durable, and the glue that attaches the sole to the toe area won’t come apart easily like on some cheaper cleats. The sole/stud area itself is very tough but also offers good stability when running. As a solid all-round cleat, the Conquisto FG can function as more than just a budget option. If your child doesn’t like the feel of the collar seen on more expensive Adidas models, this cleat might be just right for them. Comfortable all-round cleat – traditional shape. Bit heavier than a more expensive cleat. This article was helpful. One question though…. my daughter has had the Nike Bravata for a couple years now and says she needs more arch support, they feel too flat and her feet hurt. Any ideas which would be better to try next? Adidas maybe? Adidas cleats (especially the Copa Mundials, which unfortunately aren’t made in kids sizes) do tend to have slightly better arch support. However, if arch support is a particular problem for your daughter, you may want to consider buying specialized insoles. The truth is that unlike when buying tennis shoes for example, very few soccer cleats are designed with arch support in mind. I personally use custom insoles due to muscle strains I was having after extended shooting sessions, and they work great – store-bought ones are fine too – just make sure to research each option carefully before buying. Do you need to go up a size or half size with inserts? It really depends how thick the inserts are compared to the old ones. Some inserts are thick enough to justify going up an entire size, especially if the included inserts are very thin. Usually though, if you’ve got a fairly normal pair of cleats (and a low-profile insert) then half a size up is normally fine. There’s no easy answer to this question unfortunately!